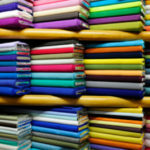 New England Fabrics is known far and wide for our custom curtains and drapes – Stop by and see why! 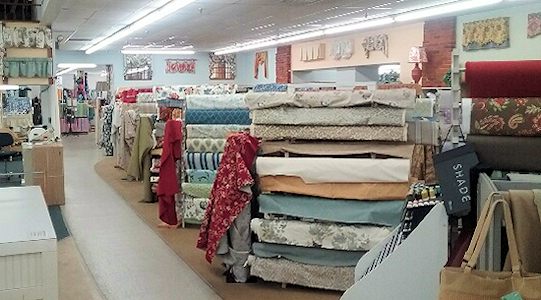 Our drapery department has all the latest decorator fabrics names like Waverly, P. Kaufman, Covington and more along with all types of linings and all the extras your project. 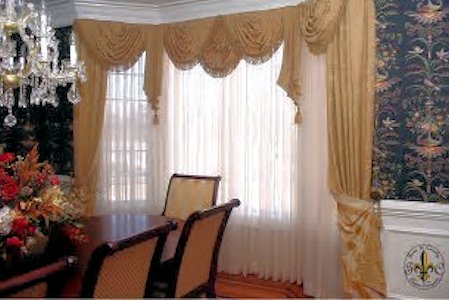 We can create custom drapes to compliment any room in your home or office. And last but not least, our seasoned team of installers brings to bear over 75 years of combined experience so your installation is done correctly the first time. 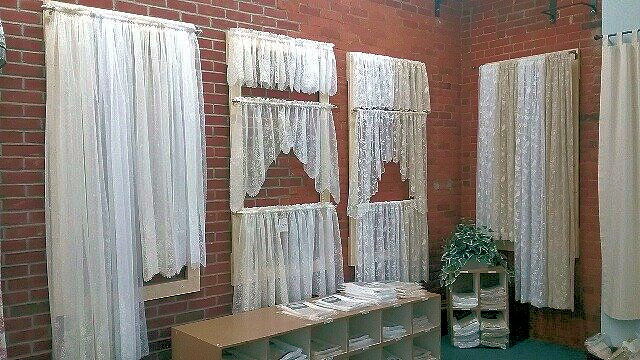 We are now stocking two lace patterns in a variety of styles. Both fabrics come in a white and off white/ivory version so they will work with any décor. 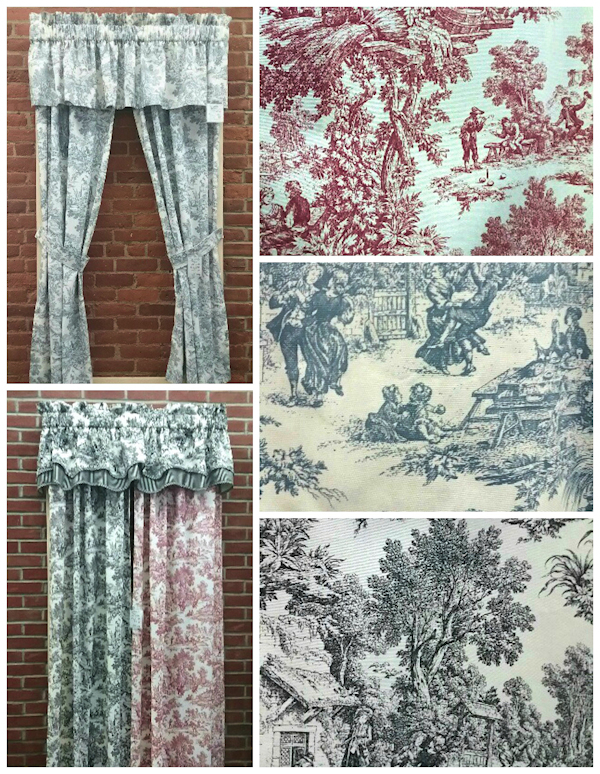 If you don’t want to wait for custom curtains you, can buy these today and take them home for an instant decorating lift.